Ocean swimming...stand up paddling...outrigger canoeing...surf skiing...paddleboarding...ocean triathloning...free diving. Those are some of the many ocean-going activities of Brazilian-bred athletes like João Castro. What started out as Castro's passion for outrigger canoeing on a local level has turned into a massive nationwide gathering of watermen and waterwomen doing all kinds of ocean competitions, appropriately called the Aloha Spirit Festival. 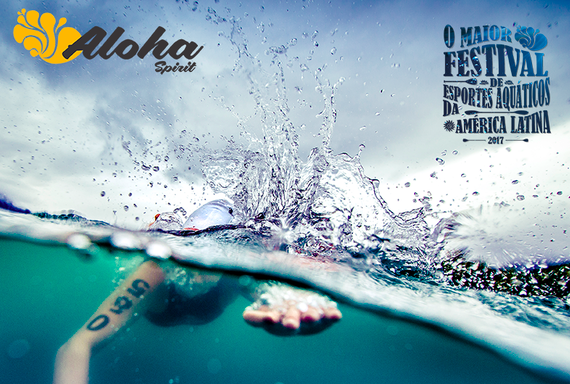 For more information on the next 1 km, 2 km and 3.5 km ocean swims in Ilhabela, visit www.alohaspirit.com.br.